"Simply one of the best!" 32red is by far, one of the best online casinos hands down. I have been watching this casino operation since they launched in 2002, and I have been no less than impressed since then. What sets 32red apart from their competitors is simple – they believe in putting the player first before business. 32red set the standard when they first launched and have never wavered from their philosophy of player first – and for their business approach – second to none. Since becoming a Casinomeister accredited casino in 2003, they have won 10 consecutive Best Casino of the Year awards at Casinomeister. Several Best management of the year awards, and several best casino group awards as well. For the first decade of the 21st century, they won casino of the decade. Why the bestowment of these accolades? Simple – they are one of the most trustworthy, fair, and transparent companies out there. Publicly traded as 32Red plc, they were the first casino in my recollection to personally identify their CEO, Casino managers, and other staff on their website. This just goes to show that they have nothing to hide, and they care to connect with their players. And connect with them? Yes they do. The fora is full of awesome stories of people down on their luck, and 32red sails in to try and make things better. Take for instance one of our members who is a disabled vet had his TV stolen from his apartment, guess what showed up in the post courtesy of 32Red? A new TV. 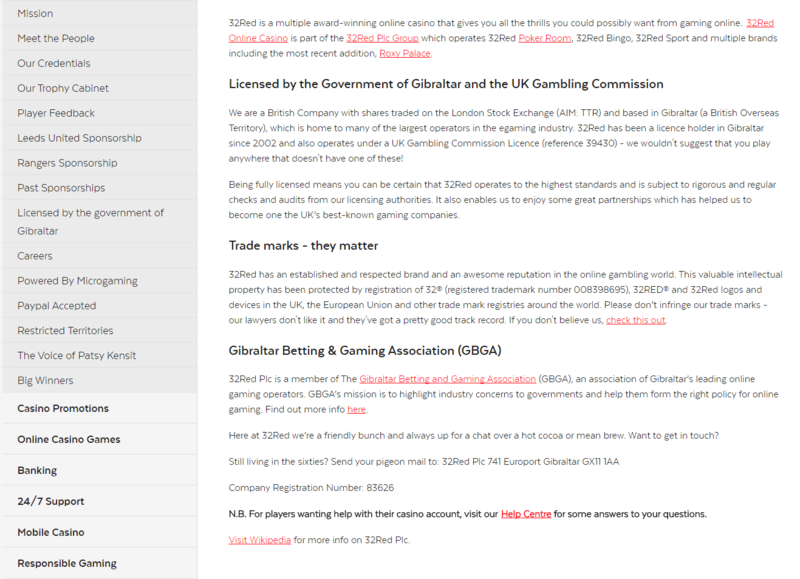 This is just one example of 32Red’s generosity and care that they take with the online gaming community. Years ago I conducted an interview with Ed Ware, the CEO of 32red. This was in February 2004, and his advice to his competitors would be to apply hard work and attention to detail and always take the player’s standpoint before you take the business’s. And this underscores why they remain successful as they are. 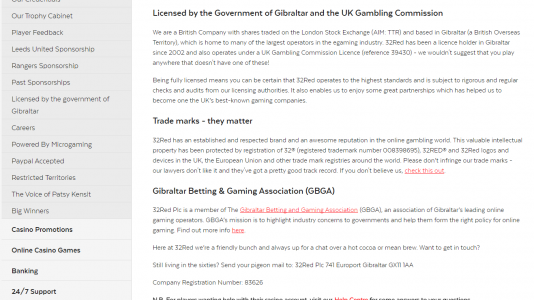 Situated in Gibraltar, they are a Microgaming downloadable casino – to include flash games you can play in your browser. 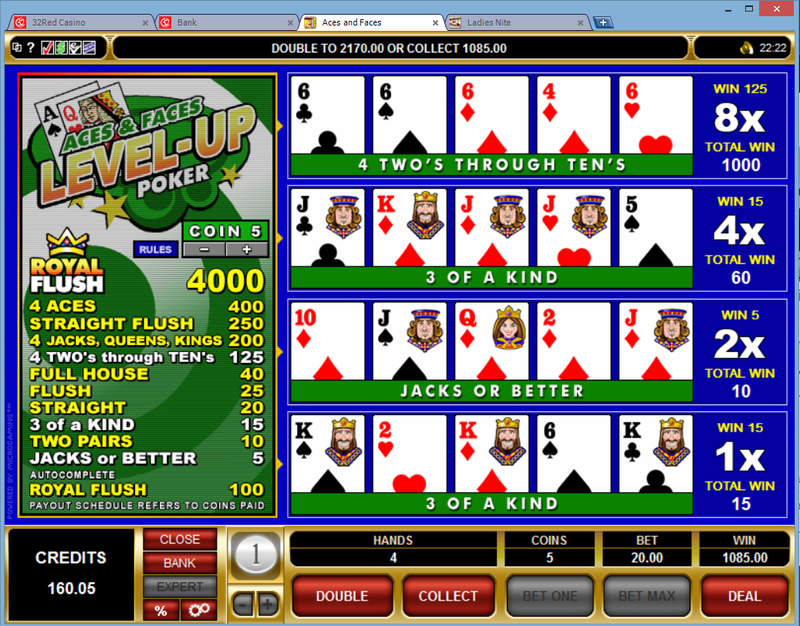 They have a full array of gaming platforms to include sportsbetting, poker, bingo and live games. I would say the only downside is that their payouts are a little slow, they can take up to a couple of days. But even so, this casino is the casino of choice by many punters. These players will always know that they will be treated fairly and treated well. They are solid as the rock of Gibraltar and are highly recommended at Casinomeister. I first noticed 32Red when I was contacted by their CEO Ed Ware in 2002 (only months after they were online) concerning a player known as Evil RhondaX. She had doctored screen shots to show a bogus jackpot win and…well, you need to read it to believe it. The casino was relatively young and already a number of players were commenting in our forum – and others – on the professionalism and great service this casino was providing. 32Red finally requested to be included as an Accredited casino and I happily obliged. Even though that recording is twelve years old, Mr. Ware’s dedication to his players has not flinched. He even used to man the phones and pull shifts in Player Support. There is no better way for a CEO to experience what really pisses players off, to measure the level of support from the trenches, and to give his callers support that is second to none – treating them like royalty. This is true definition of “leading by example”. Imagine Steve Wynn acting as a floor manager at the Wynn, making hand-pays to jackpot winners. When is the last time this has ever happened? Well it doesn’t happen that often because these administrators are out of touch; at 32red they aren’t. 32Red Aces and Faces Level Up - Four sixes! The maximum payout for any one 24-hour period for any one customer is £120,000 in the casino and £100,000 on the casino network. The daily maximum payout in the casino excludes winnings on 32Red's progressive casino games, payouts of which are governed by the Jackpot amount. One thing for sure – Microgaming has awesome slots – but there are masses of casinos that have these slots via Quickfire. That’s fine and dandy, but what sets 32Red apart from these is that not only do they host these same slots, but they include 54 video poker games, many of which rival the best IGT land based slots like Multi Strike Poker. And then they have Progressive Video Poker. So simply, if you are a VP fan, 32Red can fill your needs. Meister Minions are our members who collect real gaming information, like cashout times and we post it here. If you’d like to become a Meister Minion, please read about how to join us here: Meister Minions. I give them a 7 out of 10 – their withdrawal system totally lets us down. If wasn’t for that, they really would be a force to be reckoned with. I score them at 8 out of 10. Best MG standalone out there….withdrawal and reverse withdrawal times lower the score a bit. 6 out of 10 from me. Pending time for withdrawals (weekends especially) is archaic. Games continue to lag/disconnect on mobile platform. 8 from me. Very decent casino for years and still one of the better ones out there. 32Red Terms and conditions Apply. These guys were not awarded Casino of the Decade for nothing. 32Red has surpassed everyone’s expectations year after year. Their philosophy of “player first” has benefited everyone in the industry – either by direct relations with players and affiliates, or indirectly by acting as an esteemed exemplification for their peers. This online casino can boast of some of the most considerate and generous customer service, awesome promotions, and no payout limits. They are simply one of the best. The only downside is that over the past year or so, their payouts have slowed down. If you can overlook that, then this is the casino for you.